10+ Recommended Insurance Companies, Should Have One! Home Health Info Lifestyle 10+ Recommended Insurance Companies, Should Have One! Why Do You Need Insurance? Preparing for the worst is one of the risk management that we have to pay attention in. At least when it comes, you don't have to worry about the economic part of it. Health care can be really expensive to handle, especially when you are not able to work during your sickness. 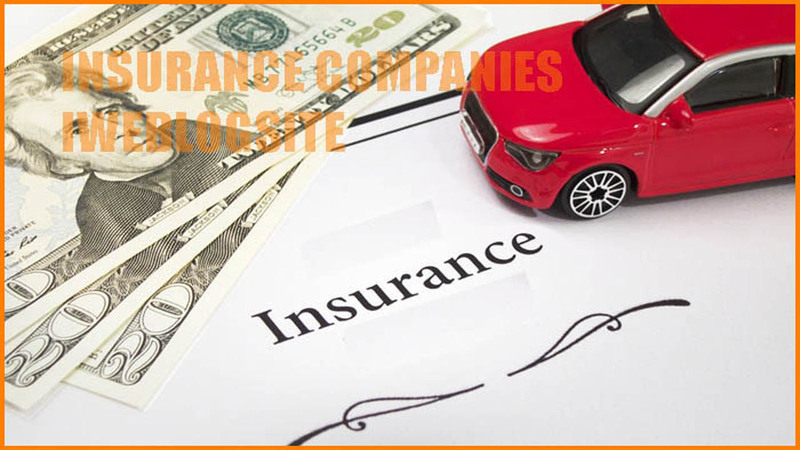 Today iweblogsite will talking about Best 10 Recommended Insurance Companies for you. Eventhough you know about some of them, you should also consider their rates and discounts offered. Always pay attention to the policies. If the company has their own niche or specific service that has made them the lead in the game, you can trust them. Other than that, you can check their rating and financial strength. There are many things to consider when choosing an insurance company for Us, Our Family or for Our company. But, these recommended insurance in the world are called best and have stayed in the market for so long because they are good at it. Always seek for the reviews of previous customers, especially about the claiming of the insurance. This insurance company has been founded for a long time too. In 1848, Prudential was founded in United Kingdom. It has several main businesses that target a specific place. PPrudential Corporation Asia is for Asian market, Prudential U.K. for United Kingdom, and Jackson National Life Insurance Company for United States. AXA is one of the leading insurance groups around the world. Headquartered in Paris, this conglomerate company has been in the business since 1816. AXA mainly focuses on financial services such as life insurance and investment management. Now, they provide services worldwide to the global market. This recommended insurance in the world was founded in German, 1890. Allianz mainly focuses on providing insurance and asset management products and services. You can purchase a wide range of insurance, from property to life insurance for your company or for yourself. More than 70 countries have been served by Allianz. Associated with the world class investor Warren Buffet, this company has become one of the largest insurance in the world. Founded in 1889, other than providing insurances it also touches other sectors such as energy, rail transportations, manufacturing and so on. This makes Berkshire Hathaway a conglomerate company with many businesses. UnitedHealth (UNH) focuses on health with various health benefits and services. With its experience in clinical care, alongside their wide range of resources, they can help you improve your health care. For health benefits the business is handled by UnitedHealthcare, and Optum for health services. Commonwealth is the second largest listed company in Australia on the January 2008 Australian Securities Exchange under the BankWest brand. The company established an insurance company called CommonWealth Life, and has branches in various countries, including Indonesia. From Switzerland headquartered insurance company, was founded in 1872. Today, this company operates in more than 170 countries, include in Indonesia and give you more insurance products and services. Is the one of Mainland China’s largest state-owned insurance and financial services companies. This company was founded in 1949, and was restructured in 2003 as China Life Insurance (Group) Company. Today this company has many insurance products and services. This is the largest car insurance company in the USA, and world too. This company was founded in 1922 by retired farmer George J. Mecherle. It is the best choice for you, who has car, to protect your asset with this insurance product and services. It's ranked No. 36 list of the largest United States corporations by total revenue. Amazing! At last, this company is the largest customer health insurance in the US. It was founded in 1936, and today it has more than 15 million members in the world. We can choose coverage from some plan types, including HMO and PPO. That's all about 10 Recommended Insurance Companies for you. Hopefully you can have one of them. If you think this article usefull, please share to your social media, like Facebook, instagram or Twitter. Thanks for visiting iweblogsite.